As we discussed in our most recent article, to build a “Culture of Coaching” in an organization, the leadership team must have a comprehensive plan. This is the second in a series of articles featuring the most important elements or levers of such a plan. In our experience, firms who dedicate time to pulling all these levers are very successful at creating an organization where coaching – both for development and for performance improvement – becomes an essential part of the company’s DNA. To create a culture of coaching within an organization, the first, essential step is to build a strong case for coaching at all levels in the company. For a cultural change to succeed and permeate the organization, executive buy-in is essential. The CEO, CHRO and other executives must forcefully communicate the importance of coaching to the future success of the company. In addition to having a compelling call to action for coaching, senior leaders must also take opportunities to model coaching excellence themselves. Along with senior leadership support, buy-in from key line and staff managers from multiple levels of the organization is indispensable. Involve these key managers; be an advocate for the importance of coaching, and use data, stories and quotes to demonstrate the linkage of coaching to their success. Take this opportunity to gain their commitment to coaching and solicit their input, asking for ideas regarding effective ways to spread the news among their teams. When discussing coaching, encourage managers and senior leaders to share stories describing the ways coaching has positively impacted their careers and business results. Consider adding these stories to the company’s internal communications and website. In best of class Cultures of Coaching, it is part of each manager’s job responsibility to coach. Likewise, it is each employee’s job responsibility to be coached. Take steps to convey this expectation, clearly linking excellence as a leader and an employee to excellence coaching and a willingness to be coached. Following the initial communication and coaching initiative launch, continue to reinforce the importance of coaching. Have the senior leaders provide routine updates on the progress of the coaching program. Use State of the Business and quarterly reviews to reflect upon program successes and discuss opportunities for improving coaching skills moving forward. By celebrating successes and continuing to communicate the expectation for coaching – you will be well on the way towards the shift in culture. Do you have questions regarding coaching, or are you interested in installing a “Culture of Coaching” in your organization? 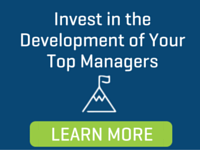 Are you facing challenges getting support for a program from your top managers? Contact us to arrange a discussion with one of our development experts today. Building a strong case for coaching is just the first of Performex’s 10 step approach to creating a culture of coaching. Stay tuned in coming weeks as we explore the remaining 9 elements.